ANOTHER independent candidate has entered the race for the state seat of Coffs Harbour. Ann Leonard grew up in the area, returned to the region in 1992 and settled in Sawtell to give her daughter the lifestyle she enjoyed. She has been self-employed for 35 years and currently runs a small manufacturing business and says she's always had a keen interest in politics and social justice. "Coming from a sole parent family with five siblings in the '60s it's a bit hard to be otherwise," she said. She is a member of a number of local sporting clubs including Coffs Harbour Yacht Club, Coffs Coast Outriggers, Bonville Creek Kayak Club and Sawtell SLSC. "Over the years I have enjoyed a fair share of competitive paddling along with camping, cycling, walking and many visits to the arts and cultural precincts of Sydney and Brisbane." For the past 18 months she has been the president of the Coffs Harbour Arts Council. "It has been my job over this time to put the Arts Council back on track after a difficult period. I am happy to say we are on our feet and doing the job we are here for. Supporting the arts and auspicing community arts and cultural projects." 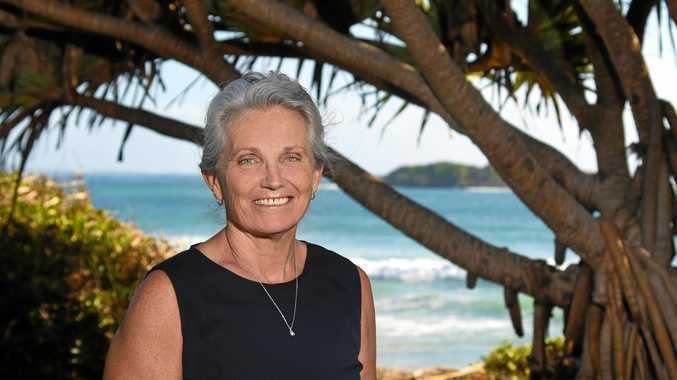 Ms Leonard believes Coffs Harbour is at a crossroads in its history and decisions made now will have a huge impact on the future of our lifestyle and environment. "These choices will set in concrete the legacy we leave for our children and those who come after us. We will be making decisions on the bypass, the Jetty Foreshore and land use that will set the stage for the ongoing liveability of the City of Coffs Harbour and the entire electorate." She says all levels of government will need to work together to ensure the best outcome for the community and that there is more that connects us than divides us. "If we focus on those mutual values, together, we can make a difference. "By playing to our strengths Coffs Harbour can have it all. I believe we can have a vibrant lively city whilst maintaining the beauty and liveability of our environment. This and the people who choose to live here are our greatest assets." She is calling for a sustainable approach to economic, social and cultural growth and development. "Bordered by the stunning backdrop of one of the most easterly ridges of the Great Dividing Range, the Solitary Islands Marine Park and national parks, we are blessed with an abundance of clean air and water, beautiful beaches and one of the world's most liveable climates. How lucky are we?" By making Coffs Harbour an independent electorate she says there is a greater opportunity of residents being heard. "We have the opportunity to be listened to by all levels of government. It is evident the current governments have a major disconnect with the community." "Right now we have the opportunity to have issues important to us addressed by an independent representative who will vote for the community and not along party lines. "I have never had an affiliation with a particular political party and right now as a voter I feel we have been betrayed by most. We need a member of parliament who can and will listen to local voices and who will act to achieve their collective goals. "Although I have my own personal views on a wide range of issues I realise that politics is about compromise. It is about listening to the people you are representing and navigating your way through many views and ideas to find the best solution. For anyone who has lived, this is the way it is. I will listen."